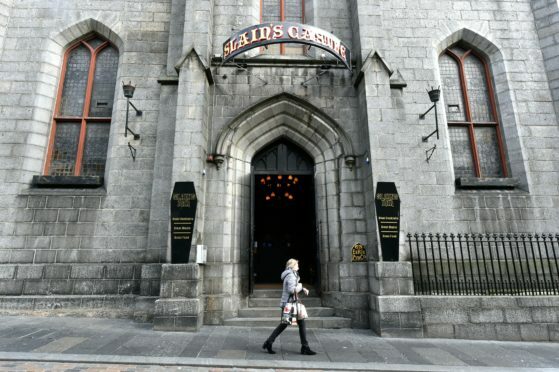 Many have passed through its doors in search of a petrifying pint or creepy cocktail, but one Aberdeen venue could soon be swapping horror for brightly-coloured boozy brunches. A planning application has been lodged with Aberdeen City Council suggesting that Slains Castle on Belmont Street receive an upmarket, metropolitan rebrand. Based in a converted church built in the 1800s, the popular multi-floored pub has entertained thousands over the years with its blood-splattered walls and spooky bookcases doubling as secret doors. It is even named after the imposing Cruden Bay ruins which were thought to have inspired Bram Stoker to write his classic horror tale Dracula. But documents submitted by its owner, the Stonegate Pub Company, show the firm plans to leave this history in the past and hand it over to its Slug and Lettuce brand. The planning application includes an artist’s impression of the new sign. The bar chain’s website describes it as a place to get together “over heavenly cocktails for boozy brunches, ladies lunches and wilder weekends with friends” – a far cry from the Halloween hijinks commonly found within the current establishment. Its planning application, which is currently awaiting approval from Aberdeen City Council, is asking for permission to change several signs outside the property. Bosses are also asking to install two “internally illuminated” menu boxes. An artist’s impression of a sign outside Slains Castle. 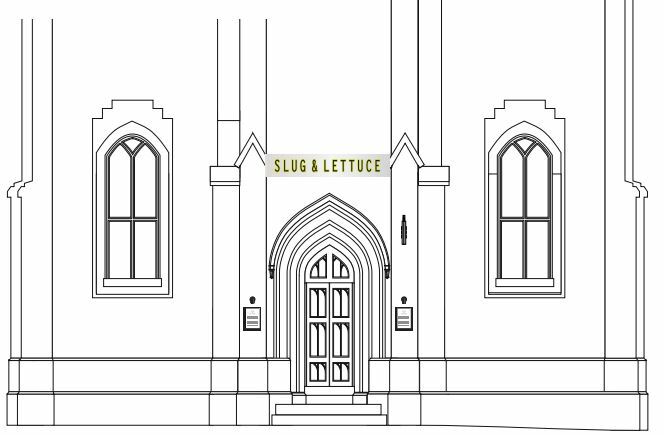 A spokeswoman for Stonegate confirmed the plans to turn Slains Castle into a Slug and Lettuce but was unable to comment further because the project is still in its early stages. Last night the revamp was welcomed by city centre business improvement district Aberdeen Inspired. The organisation’s night-time economy manager Nicola Johnston said: “We’re absolutely delighted to see that there is further investment going into Aberdeen city centre. “The night-time economy shows that the city centre is very progressive – there’s confidence within the industry and in Aberdeen’s success as a city centre. She added: “We’ve had some fantastic developments in Marischal Square and Union Street.